We are fans of people who are thinking outside of the box. Singapore based Murugam Narayanasamy is one such person: he wants to change the way sunglasses work. Typically, when your sunglasses break, you have to get a new pair. With Murugam’s three person company, Nuke Optics, you can buy replacement parts to replace the broken part instead of a new pair. The Nuke Optics sunglasses consist of five parts: two lenses, two temple pieces and the frame. Here’s how it is different from other sunglasses: all can be interchanged without the use of any tools, and all these individual pieces are held by a screwless hinge. What this means is that you can customize and interchange all the different parts. How cool is that? Eager to get your hands on the customizable sunglasses?enablejsapi=1&html5=1& Nuke Optics is currently collecting pre-orders through a crowdfunding platform on Indiegogo. 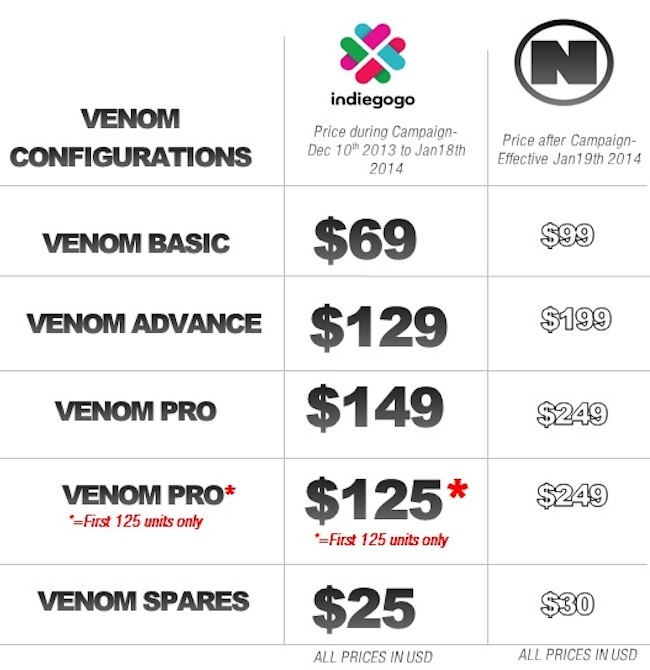 For those unfamiliar with crowdfunding, typically companies can create campaigns on these platforms, and collect pre-orders from interested customers. If these campaign successful reached its original preset targets, they will only then begin production and shipment of the products. For Nuke Optics, they are aiming for a $15,000 goal, and as of the time of this writing, has hit over $14,000 of pre-orders. Production and shipment will only start in late January, and shipping takes about 55 days, according to Washington Post. 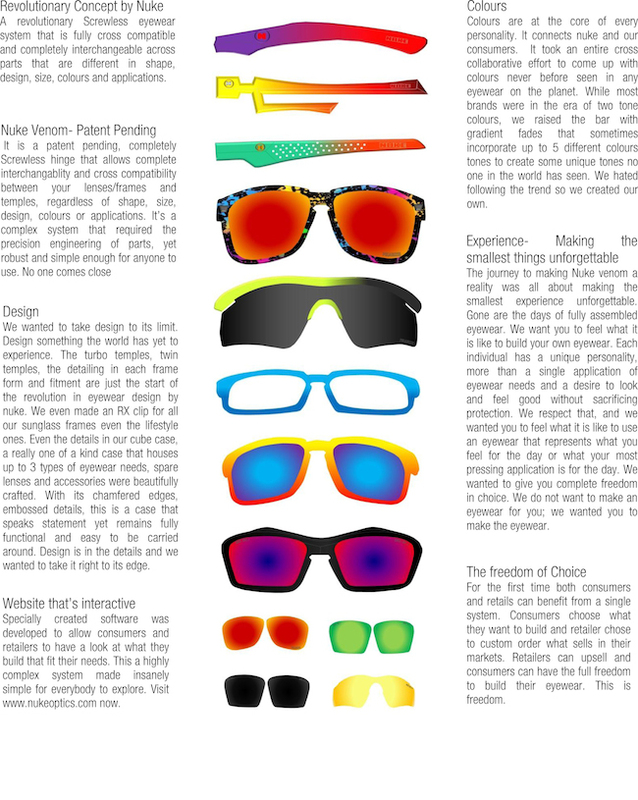 So would you buy Nuke Optics and have a customizable sunglasses?